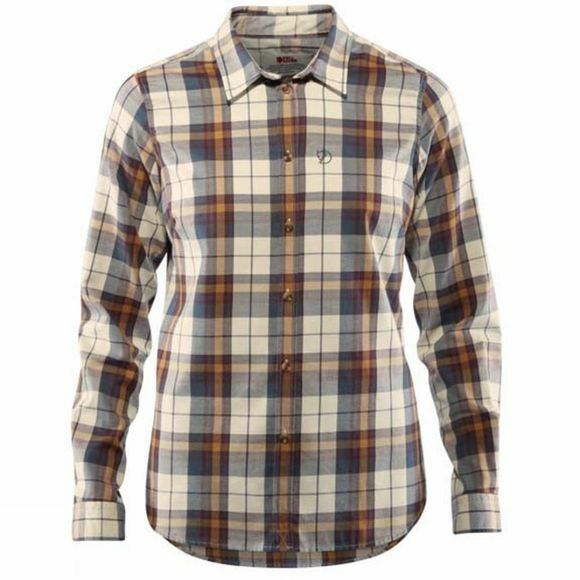 The Fjällräven Women's Övik Flannel Shirt is a classic long-sleeved flannel shirt in a lovely, soft blend of wool and cotton. A comfortable outdoor garment in the cooler months of the year. The soft feel of cotton against the skin is combined with wool's moisture-wicking and warming properties.